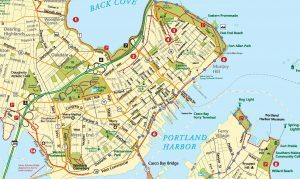 Explore the extensive trail network and discover new places in Greater Portland with our digital, mobile responsive trail map tool. 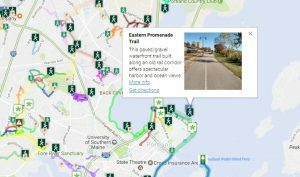 Updated regularly with new trail details, construction notices, and more. Users can filter the map by trail activities and get directions to trailheads. We still have our classic trail map available online and in print. Explore the classic map as an image, learn more about individual trails, and find where you can purchase our popular network map for yourself. Please note: the digital trail map (left) has the most up-to-date information on the trails.